The development of AUVs capable of being launched from FPSOs or actually being docked at the seafloor next to the subsea systems has been an industry goal for some years and offers a solution to two major problems: making deepwater subsea inspection become a simple task and decreasing the related costs. 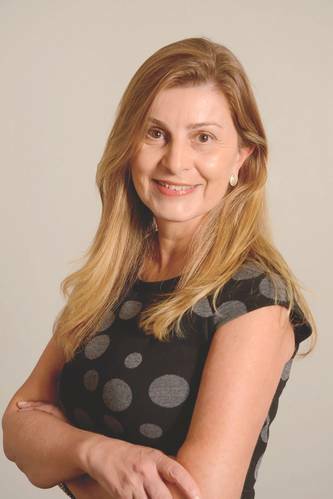 MTR’s correspondent in Brazil spoke to Rosane Zagatti, BG Group’s Subsea Technology Manager, about its FlatFish AUV project, which promises to bring solutions to deepwater infrastructure inspection challenges. Subsea systems are now an integral part of offshore oil production and vital to deepwater production. In deepwater developments, ROVs may be involved in both inspection and intervention services, with some operators using traditional AUVs for pipeline inspection, both requiring support vessels with day rates hovering between $100k and $200 k. Therefore, the cost of continuously inspecting subsea infrastructure can heavily impact an operator’s OPEX. The FlatFish project concept was created by BG Brasil, a subsidiary of Shell, with DFKI, SENAI-Cimatec and EMBRAPII as partners in the project. The prototype, currently in sea trials, is being developed to carry out 3D visual inspections in high resolution of subsea pipelines and infrastructure. “Bremen, Germany based DFKI, our partner in the FlatFish project, had a key role in the development of the AUV. As a global reference for artificial intelligence and robotics, they were responsible for training and developing the technical capability for the Brazilian researches involved in the project. A partnership between SENAI-Cimatec and DFKI resulted in the creation of the Brazilian Institute of Robotics (BIR), which has FlatFish as its first project. The FlatFish researchers had, on average, one year training in DFKI. This is a great example of collaboration of public and private peers for technical and human resources training,” said Zagatti. The prototype is under development by a team of 18 full time researchers from the robotics lab at SENAI-Cimatec in Salvador, Bahia, Brazil. “The main system of the project comprises a hovering, observation class AUV capable of ‘living’ subsea for extended period of times,” said Zagatti. “It includes data connection to a docking station for recharging the internal batteries of the vehicle in between inspection and data transmission to surface. Autonomy is assured by a software stack capable of controlling the vehicle, without human intervention, so that the vehicle can safely and reliably execute the task of navigating from docking station to a specified subsea structure, inspect the structure with the onboard sensor payload and return to the docking station. A web based user interface permits a non-specialist remote operator to define an inspection mission; visualize the inspection results through a structure-centred methodology; browse the inspection results section by section; carry out trend analysis; configure anomaly alarms and visualize image based 3D reconstruction of the inspected structure,” said Zagatti. Flatfish can perform an up-close visual inspection of pipelines and structures, a critical skill to visualize and understand anomalies. High-resolution 3D and precision optics with natural colours allow the operator to see even a very small dent. 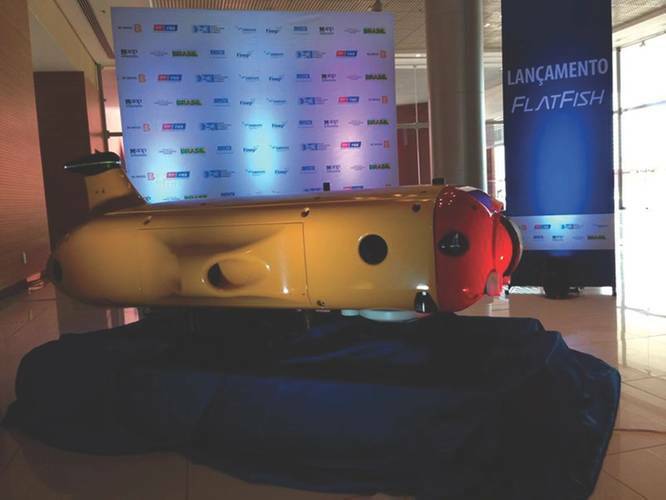 The FlatFish is being tested in an enclosed environment in Bremen and at sea in Bahia, with the Brazil model being used to inspect shipwrecks off the coast. “The oil and gas industry is very conservative and new technologies need to be qualified following specific procedures and standards to demonstrate that all risks were mitigated and the reliability is according the specifications. The FlatFish is a result of a project of approximately 2 years, having started at the end of 2013. The first phase involved the development, testing and trial of two full-scale prototypes. The first prototype demonstration was performed in June 2014, in the Maritime Exploration Hall at the German Research Center for Artificial Intelligence (DFKI) in Bremen. The other prototype is currently performing sea trials in Brazil as it is very important to understand how different environments impact the responses.” The prototype developed in this first phase weighs 275kg and is capable of working down to 300 meters, with sensors encased in a 220cm long by 105cm wide pressure hull. It can also operate from 16 to 24 hours and make a return trip of 20 km. It has six hubless ring thrusters and runs on Lithium-ion batteries.“The software development is the key aspect of the project and can easily be used in a deepwater vehicle. Now we are starting the second phase of the project and when concluded, we will be able to qualify the hardware and complete AUV system for deeper operations,” said Rosane. The main challenge is to guarantee the AUVs reliability during long-term deployment, making a system with very low maintenance requirements. “Subsea is a dynamic environment and FlatFish is affected by uncontrollable and unforeseeable changes in water conditions, currents, sea life, fishing interaction and other ever-changing aspects. There is no surface vessel nearby to recover the vehicle if something goes wrong. No communication to a human expert while on a mission. And, the cost of a vessel mobilization and vehicle loss is significant. Therefore, FlatFish needs to be reliable in terms of hardware, software and autonomous decision-making. For example, if the FlatFish software would suffer a critical crash in every 200 hours of operations, our system has a 99% chance to recover from this crash. It would still mean an emergency vessel recovery every three years in average for a daily operated FlatFish,” said Zagatti. 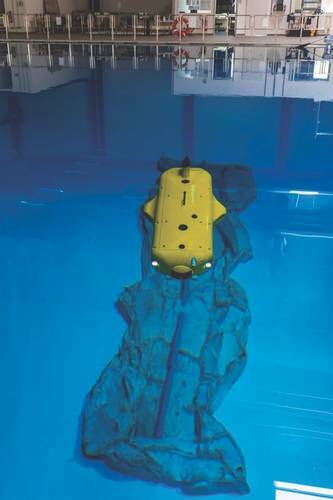 Artificial intelligence is extensively used in the FlatFish’s guidance systems, mission planning and in selecting inspection sensors, according to Zagatti; “Besides being cost-efficient – it can reduce inspection of subsea infrastructure from 30% to 50% – subsea inspection campaigns are subjected to limitations such as sea condition and market availability. Having artificial intelligence allow us to reduce the dependency on support vessels and to deliver faster response times. Also, it enables an increased frequency of subsea surveys and higher quality inspections, improving the understanding of system integrity and delivering improvements in reliability and performance of subsea infrastructure. Moreover, it will contribute to asset integrity assurance. As a result, it will enable improvements of all the operational capabilities (inspection, monitoring, intervention and repair).” Zagatti also pointed out that the FlatFish has a multiple guidance methods, some standard, some based on more advance software reasoning than a traditional AUV approach. The mission planner can adapt based on the sensor input, being more flexible in dealing with the environment changes. New software methods are used to process the inspection sensors input in order to achieve an optimized inspection movement profile and mission. A special focus is also given on how to post-process and annotate the volume of data generated to optimize the time from data to information. The FlatFish also uses a laser line projection, depth sensor, inertial navigation system and Doppler velocity log combined with an optical-acoustic feature detection to navigate, along with ultra-short baseline acoustics for identification of flowlines, pipelines and other equipment, also employing multiple communications systems. 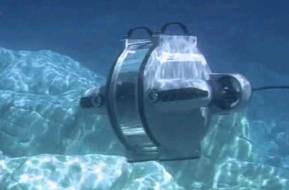 A functional replica of the docking station has been tested at the DFKI Bremen Robotics Innovation Center’s 3.5 million liter seawater tank. The lessons learned from the mock-up tests have been used for the design of the new prototype of the docking station that will finish testing by the middle of next year as part of the second phase of the project. “We are starting the second phase of the project now. With Senai-Cimatec we are seeking a partner to bring FlatFish to the market. The new partner will be selected in 2016 and will work with us in the qualification of the technology through intensive offshore trials of the system, planned for 2017,”said Zagatti. FlatFish can also be launched and recovered directly from a FPSO or platform to perform subsea integrity inspections. An operator sitting remotely can program a queue of routine inspection and maintenance work for the AUV. “FlatFish plans the mission autonomously based on the requested work queue. The mission plan is then validated by simulation and send to the operator for approval. After this preparation the vehicle leaves the docking station, navigates to the target, inspects the target, and returns to the docking station,” said Zagatti. “The resulting inspection data (photographs, 3D models etc.) is uploaded within the docking station and send to the operations center, where it can be automatically distributed to the most relevant recipients, post-processed and eventually raise relevant alarms. If an operator wishes to perform an unscheduled task, it is inserted into the work queue and scheduled to happen immediately or at a specified time. If high-rate communication equipment is installed within the field, it can be used to allow a remote operator to provide real-time commands on more complex tasks. FlatFish is the only AUV able to live on the seabed in a docking station and perform visual inspections and 3D reconstruction of subsea equipment and pipelines with high precision, a significant improvement over the existing autonomous vehicles,” concludes Zagatti.